Department of Art alumna Samantha Burns MFA’14 has been extremely successful in this 2016 year. 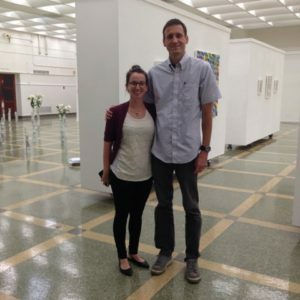 Most recently, Samantha installed a solo exhibition at the Southeastern Louisiana University Contemporary Art Gallery. Samantha Burns recently began working as a Visiting Assistant Professor of Art at the New College of Florida for the 2016-2017 academic year. Samantha has also has been invited to attend the Roundtable Residency program this July and August to create new sculptural works. In July, Samantha’s piece, Try was awarded the first place award at the WORDS+TEXT+NUMBERS exhibition in St. Louis, Missouri. Samantha is currently working towards several more exhibitions, including a collaborative installation at 621 Gallery with Naghmeh Farzaneh. 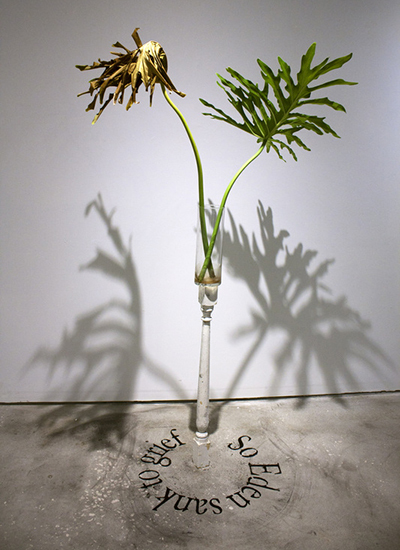 During the week of October 10th, Burns, was a visiting artist at Southeastern Louisiana University, where she installed a solo exhibition consisting of three sculptural installations within the SLU Contemporary Art Gallery, curated by Dale Newkirk. During her stay, Burns also provided an artist talk discussing her current work and the development of her practice as an emerging artist. The exhibition will be up and running until November 10, 2016. Having spent 2015-2016 as the New College of Florida’s Visiting Artist in Residence, she is excited to become further involved in the College’s Art department for another year. 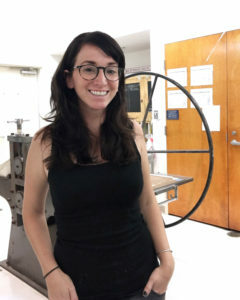 During 2016-2017, Burns will assist within the New College of Florida’s art department, developing new courses and procedures within the sculpture department. 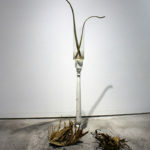 Roundtable is an annual 5 weeklong artist residency program hosted by the Dragon Academy in downtown Toronto, Canada. The goal of the residency is to provide artists with a free space to work on distinct projects within a greater peer-based community. 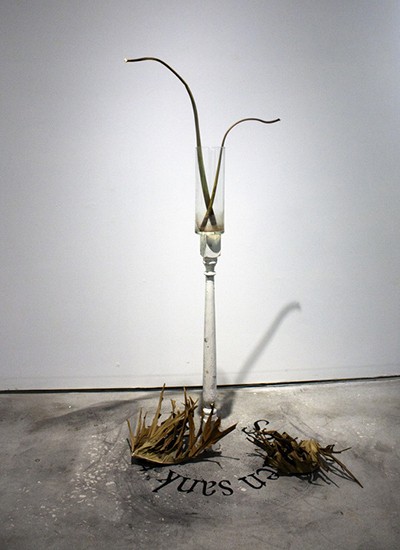 While attending, Samantha will be expanding on a past body of sculptural installations. She will use this time to focus on new approaches and materials for her time-based sculptural works. While in residency, she intends to investigate precarity as a metaphor for the body in recovery expressing vulnerability and strength surrounding these times. The conclusion of the Roundtable Residency will be an exhibition in August showcasing all the artist works. 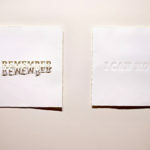 This exhibition explored what can happen when artists use textual characters — letters, words, numbers — as central elements in their work. 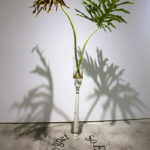 Chosen by juror Joel Ross of the University of Illinois, the exhibition takes off from the use of language by conceptual artists in the 1960s and gives it a contemporary spin. Burns showed two pieces, Try and Automatic Thoughts: Sandusky at the St. Louis Art Guild‘s exhibition, WORDS+TEXT+ NUMBERS . 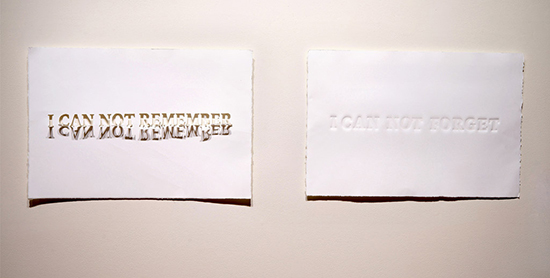 Within this work, she is exploring the use of language through subtle text in the form of prints and sculptures. Samantha’s piece, Try was awarded the first place award for the exhibition. This All Media exhibition opened May 20 and concluded July 2.